I do not support Donald Trump. But what if I did? He legitimately won the election under our democratic system; only a quarter of the country voted for him, but that is the system we have. His rhetoric is divisive and untethered from evidence, but that is the rhetoric we decided was acceptable. The choices he makes, whether we like it or not, will shape our country and possibly the world for many years to come. One thing I am sure of is that being politically divided and unwilling to change our views is a self-reinforcing feedback loop. It’s easy to use division to justify more. But I don’t want to do that. I want to have solidly-evidenced political positions. I don’t plan to say “oh, give him a chance,” because our country already decided to give him that on November 8th, and because I do not personally expect him to become any more respectful or honest as president than he was in the year preceding the election. Nor do I intend to shut up about what I disagree with, because critiquing the government is patriotic and quashing dissent is undemocratic. So he’d have my critique even if he already had my support. But what would he have to do to get my support? Under what conditions would I say “Well, I didn’t expect it, but he’s doing a good job”? If my opposition to Trump is partisan, there will be no such conditions. But if my opposition to Trump is based on his policies and actions, I should be able to say under what conditions I would change my mind. At the end of each month I compile links to articles I found thought-provoking over that month, categorized with pull-quotes for your perusal and edification. Each of these is a story that made me stop and think, and hopefully one or two of them will do the same for you. This month a lot of those were on politics, and so I’ve mostly left those out – but here are the rest! For some years now, some very smart people have been inventing ways to fit the processes of our global and local ecosystems into the processes of our global and local economies. The consensus product of this work has been the concept of “ecosystem services,” which are all the things we, as human beings, get out of an intact ecosystem. Ecosystem services make a lot of sense compared to the other options. All the things we don’t consider in our economic calculations, all the externalities, start to become numbers that can fit into the schema. You might, for example, consider the cost savings of carbon capture associated with an intact forest. You might consider the damage averted by floodwater buffers provided by swamps and wetlands. You might count up the dollar value of a riparian buffer in topsoil retained and erosion prevented. This is a major improvement, because traditionally, there have been only three ways to value something natural in an economic calculation, and only one of those has any real significance when it comes to conservation. The main way we accommodate nature in our economic calculations is the most basic: resource exploitation. In fact, the majority of physical value in our economy comes from deconstructing natural systems and using their component parts to fuel human systems. Unfortunately, this mode makes no allowance for the value of the system, and only values the parts by how completely we can repurpose them. The only value in a standing old growth tree, by this measure, is the dollar value of its board feet. The second way to measure ecosystems in our economy is by offsetting damage, and this is really an uneasy tug-of-war between environmental and economic interests. In this method, you can destroy a wetland if you create another, “equivalent” wetland somewhere along the way. This is, unfortunately, still used and never honestly applied. The replacement wetlands are often biological deserts with only a few plant species, and do not even come close to duplicating the diversity and function of the original. Another version of this approach is even worse: to preserve one wetland elsewhere as an excuse to destroy one, which is a 50% loss by any measure. The crux of it lies in interpreting the concept of “equivalency,” something for which there has rarely been a clear guide. 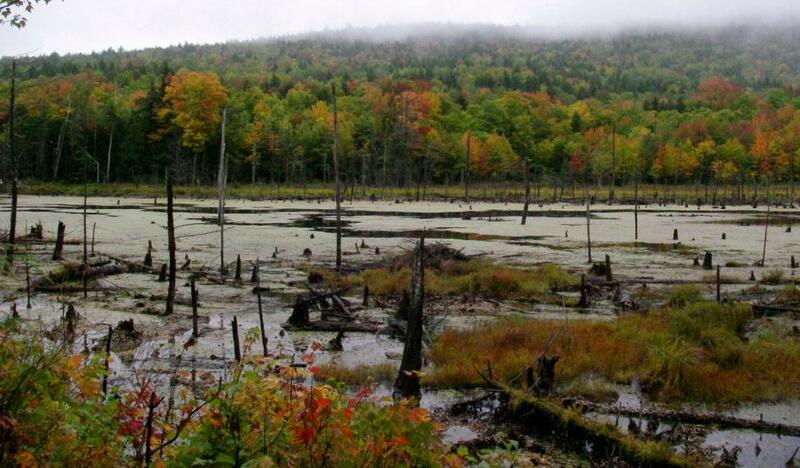 By incorporating ecosystem services, though, there are specific measures one could use to lay out what would be expected in an “equivalent” wetland. Even so, this is not ideal—an honestly equivalent wetland would be prohibitively expensive, so any business creating one is highly motivated to cut corners. The third way our economy values ecology is through tourism dollars. If something is beautiful enough that some people will pay to see it, conservation starts to have some economic value. But this is a precarious state of affairs—if a place becomes too impacted to be profitable, it could always be sold off and apportioned out for some other use. It also may not consider the whole system involved; we can preserve, for example, a beautiful canyon on the Colorado river, while still diverting so much of the river upstream that the riverbed in the canyon is only fetid mud. Ecosystem services, I think, are a good step beyond all these approaches. They give us what none of the above can manage, which is a value for intact systems. As humanity covers more and more of the planet, fragments more and more of the wild places, and repurposes even more of our natural systems, the need for a consistent way to value intact systems is urgent. And yet, I have never been fully comfortable with the idea of ecosystem services, because they seem, to me, to suffer from an irritating conceptual concession. Specifically, they concede that ecosystems are things we can and should value according to how they serve human beings. Although it is a wonderful step to consider them as whole systems, the service of humans seems to me still too limited a view. What of the things systems do in which we play little or no part? How can we measure the value of a right whale, a spotted salamander, a boreal forest, or an arctic tern? What can these things be said to do for us? But to suggest they have no value is ridiculously anthropocentric. I don’t want to be the kind of advocate who holds out for a silver bullet when a lead bullet is available. Neither do I want to be a person who settles for the mediocre when the good is possible. And so I think ecosystem services are worthwhile, and necessary, but insufficient. I think, too, that we need to consider very carefully what it means to value things. Though it is a much bigger conversation, I think there is a serious difference between intrinsic value and dollar value. By necessity, the latter is smaller than the former. Even in human terms alone, the dollar value of a thing does not equal its total value. So, when it comes to conserving what is left of our ecosystems, I think we must not let dollar value take center stage. It has a use, and when it works we should use it, but we must not succumb to the idea that it is enough. One quality of human societies is that we shape our environment to fit our needs. Sometimes we do this intentionally, such as when we clear land for agriculture or human occupation. Sometimes we do it as a byproduct of our actions, such as greenhouse gas emissions leading to runaway warming of the global climate. In the past, human societies have endured, or collapsed, or adapted, depending on how much their environment could withstand change. I think this begs the question, how resilient is our global ecosystem? How much can it handle? What are the limits? Those with a narrower view tend to dismiss environmental concerns as frivolous, uneconomical, or overblown. The earth has always carried on, they sometimes argue, and even if it doesn’t, we can invent technologies to replace and improve on anything an ecosystem can do. Yet I wonder. Ecosystems around the world have evolved to be both diverse and redundant, with animals and plants and insects and microbes all functioning together to support the system. Most of that diversity and redundancy is structural—the evolution of an ecosystem, like the evolution of any given species, does not tend to generate and maintain traits with no purpose. I don’t mean that an ecosystem is designed with a place for everything and everything in its place, but rather that diversity and redundancy in a natural system are present because regular stress on the system requires them. They are buffers that protect the system from failure. From the human perspective, redundancy is usually perceived as an abundance of parts—a river full of salmon, a forest full of old growth trees, a sky full of passenger pigeons. This leaves us with the comforting sense that however many we take away, there are more than enough; the system will not falter. That can be true on a small scale, but global human society does not act on the small scale. We have an economic engine dedicated to mobilizing resources, and it is very good at it. If a resource is found, there is an effectively unending line of people ready to use it and transform it into human economic capital. But that engine is very bad at asking questions of stability; if a resource is abundant, we use it rapidly and heavily without concern for the broader system. That old individual view, that taking a few doesn’t matter, seems to have evolved into the idea that natural systems can be processed and repurposed by humans without consequences. Unfortunately, the data says otherwise. The declining biodiversity of forests and the strangled flow of major rivers are examples of what happens to natural systems when their natural buffers are carted off for human purposes. Current complex systems science shows us that the natural systems we rely on are being driven to the edge of catastrophic failure. Ecologists and complex system scientists call this “overshoot,” a state in which the key ecological foundations of a system are exploited much faster than they can regenerate. Put more simply, we are playing ecological Jenga. Globally, systematically, we are stealing away the foundations of critical natural systems to build a human superstructure on top. Yet questions about that same foundation receive more derision than consideration; with a curious bootstrapping logic, we convince ourselves that the titanic edifice of human society is unsinkable. That ideological position is so much stranger in the face of the evidence. We have known for some time that we are drawing down natural capital much faster than the rate of replenishment. In the U.S., California is a poster child for depletion of water. In Canada, Alberta is scraping off their largest intact natural forest to dig up tar sands. In the tropics, slash-and-burn agriculture is depleting nutrient-rich topsoil that took thousands of years to form. As we busily remove the redundancy of natural systems that sustain us, the growing specter of climate change looms large. We are carefully pulling bricks from the base of our tower, scarcely noticing the wind of change ruffling our shirtsleeves. Systems evolved redundancy to cope with stressors, and the biggest stressor for an ecosystem is a changing climate. Some say human ingenuity will avert any catastrophe. I think they’re right that it could, if we would just look honestly at the implications of our choices. If we could bring ourselves to take them seriously. If we could bring ourselves to alter those choices. But the tower is getting taller, and the wind is getting stronger. The science shows us that we can’t continue the game into perpetuity. Natural systems will reach points of change; many already are. Many already have. Some have collapsed. So let’s hear it for human ingenuity, and let’s fix it. But I have a sneaking suspicion that ingenuity isn’t our problem now. We’re plenty ingenious. What we’re not, is honest. Local food became a thing so long ago at this point that we now have a thriving network of CSAs, a word to describe people who only eat local food (localvore), and a growing movement towards supporting small, local farms over massive agribusinesses. We also have the more subtle economic local movement encouraging us to shop at local businesses and support our local economies. Yet, we also have some assumptions inherent in both of these movements that aren’t quite true, assumptions that maybe need a little more thought to parse out the truth. I prefer to eat local food, and I prefer to purchase from local businesses, but my understanding of these things has grown over time, and I don’t do it for the same reasons I used to. For me, the first thing I realized about local anything is that, despite the fervor of some advocates, “local” does not equal “good.” On the whole (but not always) it is better to purchase things that have traveled less, since on the whole (but not always) those things can have lower carbon emissions. As someone who things climate change is the single largest problem humanity is facing/has created, that means I am drawn to local food and products. But, I said can have lower emissions, not do. The actual carbon emissions of something depend radically on the practices of those who made it. That tomato from Argentina might actually have lower carbon emissions than the tomato you bought at a local farmer’s market, if the Argentine producers made a lot of tomatoes, shipped them mainly by train, and didn’t have to till very much (all things that reduce the average total emissions associated with a piece of produce). Likewise the carbon emissions of a small farmer may vary depending on whether they have to till the soil more often (releasing carbon), use more fertilizer (on rocky New England soil), and drive a (comparatively) small number of tomatoes to market in a (comparatively) fuel-inefficient truck over hilly roads. This same problem applies, in varying ways, to some apparent benefits of local purchasing. For example, I like the idea of keeping the money I spend in my local economy, thus supporting my neighbors and community and fostering more egalitarian distribution of wealth. But, even though I might be buying from a locally owned store, that store might turn around and invest their profits in a portfolio that includes Wal-Mart stock and, to some extent, helps drive other local sellers out of business. Or that local business may have gotten a loan from, say, Bank of America, and paying down that loan may be funneling wealth out of the community. There are more examples of this problem, but the point I am trying to stress here is that, while I support purchasing local food and goods and do so myself whenever possible, choosing a local option does not automatically mean you are doing what you think you are. You still have to check. What buying local will do for you is make the task of checking up on things much more manageable. Every item we buy has a chain of impacts associated with it, a series of feedbacks that impact things far beyond the obvious. The longer that chain of impact, the more likely that there are unintended consequences somewhere along the way. In the late 1800s and early 1900s, a fad for colorful feathers in ladies’ hats decimated the population of hundreds of species of birds. The people buying those hats couldn’t check the provenance of the feathers, but their contribution to the overall demand was devastating. So, when I buy local, I treat that as the beginning of my choice, not the end. I don’t buy the local tomato assuming that it has lower carbon emissions than the Argentine tomato; I buy the local tomato because in many cases I can find out. 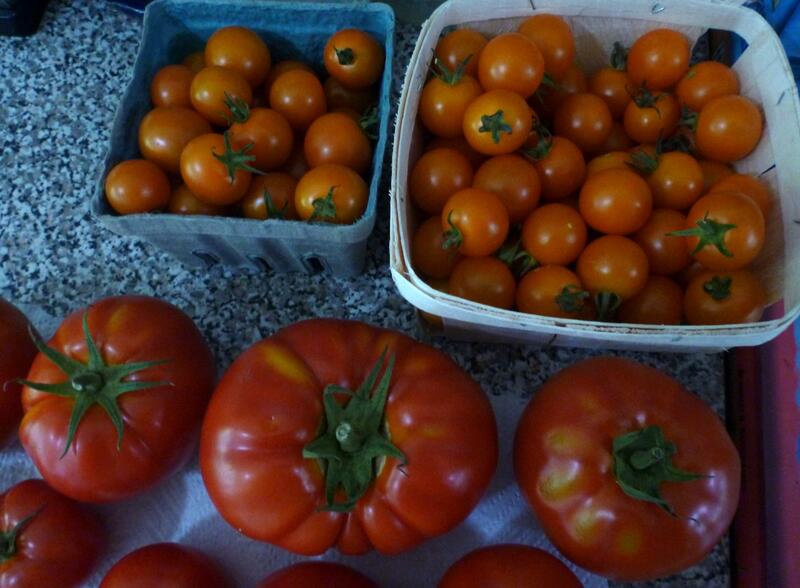 I can go to my local farm and buy a tomato from their farm stand and know how it was produced. If there’s something in that practice that I don’t like, I can look for somewhere better. If I buy the Argentine tomato, the process is opaque: all I see is that a tomato is there, and generally where it came from. I don’t know whether someone drained a peat marsh or burned a plot of rainforest to plant that tomato. I don’t know if it spent most of its time on a container ship. I don’t know if it was sent to Louisiana and shipped north in a tractor-trailer. And I probably can’t know those things. So I buy local, not because I assume it’s better, but because among my local options, I can choose who to support. I can decide what I care about, and use my purchasing to have at least a little bit of impact. I buy local because when I am buying things from far away, it isn’t money I am trading for that convenience: it is knowledge. The ideology of economic growth is so entrenched an idea that it often goes unnoticed and unquestioned: the media, politicians, and businesses all frame more growth as good and less growth as bad. But “growth” in this proposition is ambiguously defined. In fact, our dominant national economic indicator, GDP, actually measures economic throughput, not economic growth—it measures the total value of services and resources used in a given year. Neoclassical economists assume that because a growing economy is correlated with a healthy society, a “healthy” neoclassical capitalist economy must always be bigger than it was before. If you tried to apply this in your life, it would swiftly become ridiculous: for example, you would have to measure your bank balance by how much money you withdraw in a month instead of by how much is left. You would conclude that you were getting richer by spending more money every month, and ignore the rapidly shrinking balance until you had multiple overdrafts and the bank froze your account. A rationale thinker may at this point ask how an economy can grow infinitely on a finite planet. The neoclassical economist’s answer is the proposition of infinite substitutability—that human ingenuity and technology will find the answer to any problems of scarce resources. In plainer words, the dominant economic view is that humans are infinitely smarter than natural limits and we will always find ways around them, so don’t worry about it. Infinite substitutability based on human ingenuity is effectively hubris laid down as an economic principal. It discounts limits of materials and energy, presuming that we will always find a new alternative. In practice, though, human society has chosen to draw down stored energy faster than it can be replenished in the form of coal, oil, and gas. No amount of human ingenuity has yet created free energy and the second law of thermodynamics tells us that it never can. Nevertheless, the idea of infinite growth goes mostly unconsidered in year-to-year economic policy. As Garrett Hardin put it, “a society that pays attention to economists needs economists who pay attention to reality.” To recognize physical limits, however, is not a popular position. In the United States, at least, there is a major incentive to ignore the problem of infinite growth—namely, ignoring it lets us rest easy on issues of economic inequality. If there is always more to be had, no one with more wealth can be blamed for the lack of wealth of others. When I wrote about the Rich Man’s Burden, I observed along the way that some people assume equal access to all the benefits of a growing economy. The proposition of infinite growth is one excuse for that assumption: if there is an infinitely growing pie, the size of your slice may have no relationship to the size of anyone else’s. The proposition of an infinite pie sets up a carrot on a stick for disenfranchised lower classes: work hard to get more, because there is always more to go around. Following that, if you make a lot of money, you must be smart, creative, and hard-working; if you make little money, you must be dumb, rigid, and lazy. Within this Rich Man’s Burden framework, it is easy to say we should cut the social safety net because there are “too many on the government teat.” It is easy for Representative Allan West to argue for cutting programs for the poor because “we in Congress need to do our part to aid the struggle for more personal responsibility. We need to reduce government spending levels so we are taking less from America’s producers of economic growth.” It is easy for business columnist Elizabeth Macdonald to talk about the “feeding trough” and “government handouts,” as if the people who need the safety net are lazy pigs. As if our grandparents who worked their entire lives should be bankrupted by the high cost of medications, or as if our children who depend on food stamps should just buck up and earn some money themselves. Maybe those poor children should just become janitors so they can learn how to work harder—a suggestion actually made by Newt Gingrich during his bid for the 2012 presidential nomination. That heaping disdain traces back to the idea that growth gives everyone equal opportunity—but really it is just another excuse to continue removing opportunity from the worst-off among us to benefit those who need it least. And so we are always chasing growth, because many people are in need and supposedly growth will alleviate that. Yet the majority of “new” wealth in the economy is captured by those at the top, not those most in need. The idea of an infinite pie sets up a constant moving target of financial stability that keeps those most exploited by the system hopeful, while the well-off continue to benefit from their labor. With an infinite pie, the idea that anyone might have too much, especially we in the United States, need never enter the discussion. There is no such thing as too much—instead, it is always about more.